Lost Earth Adventures takes great pride in the quality of our guides. Our trip leaders are hired not only for their knowledge and expertise, but also for their passion andn friendly, outgoing personalities! Read on to find out more about our tour leaders. Richard is the co-founder of Lost Earth Adventures. 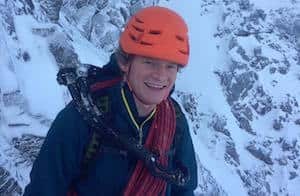 His passion for the outdoors began at a young age where his family holidays revolved around hill walking and mountaineering in the Alps and the UK. At 17, his father took him on a real adventure, going on a one-month expedition to climb unclimbed peaks in the Karakoram Mountains of Pakistan. Inspired by what he had experienced, Richard vowed to return, seeking to explore more of the mountains, wilderness and fascinating cultures of Asia. Having lived for two years in the French Alps, Richard packed up his belongings, and returned to Asia, going on an incredible 2-year overland journey. He eventually moved to the Canadian Rockies spending every spare minute climbing, skiing and mountain biking. It is here that he met his wife, and co-founder of Lost Earth Adventures. He lives in Nepal for half the year and when not guiding trips he’s continually exploring deeper and deeper into the mountains looking for new adventures. 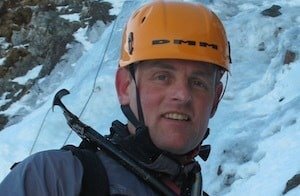 Richard is a qualified rock-climbing instructor, Mountain Leader, Level 2 Caving Leader (multi-pitch, vertical descents) and mountain bike instructor. He is also a white water rescue specialist, wilderness first aid trained and has an Recreational Avalanche Certification. It is his love for Asia, adventure travel and sharing new experiences with people that has led him to create Lost Earth Adventures! Sarah is the co-founder of Lost Earth Adventures. Having grown up in Canada she spent much of her youth exploring the untamed wilderness of this vast country, camping, hiking and kayaking. 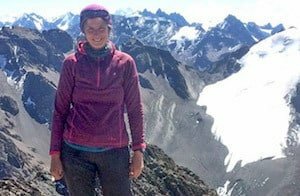 She moved to the Canadian Rockies and it was here that she honed her skills in the mountains, learning to rock climb, ski, mountain bike and become self-sufficient in a mountain environment. An independent backpacking trip to Southeast Asia and Australia at the age of 18 opened her eyes to new cultures and fascinating countries. The travel bug firmly set in, she has since then continued to explore this region extensively. She has also spent a considerable amount of time in Nepal and India, having motorcycled around the entire sub-continent. Other travels have brought her surfing in Costa Rica, trekking in the High Atlas Mountains and Saharan Dessert of Morocco, as well as climbing all over the UK. Sarah is trained in white water rescue, a qualified mountain bike instructor, wilderness first aid trained and leads groups in the Canadian Rockies and South East Asia. She has a degree in Advertising and Communications and has worked on a freelance basis and for a not-for-profit national organisation as the Marketing & Communications Coordinator. 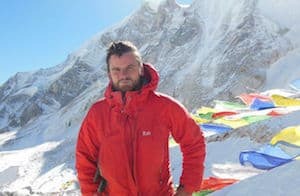 Having met Richard Goodey and discovering a mutual love for intrepid travel whilst sharing these experiences with others led to the creation of Lost Earth Adventures! Will grew up on the West Coast of Scotland and has been into the outdoors from a young age. Whether it be surfing in Indonesia, snowboarding in the Alps or projecting new climbing routes back in Scotland, Will is always looking for the next challenge. He has an infectious enthusiasm for the outdoors and loves to help people achieve their outdoor goals no matter what the field. Will first qualified as a surf instructor in North Devon when he was at university and has built up his skills and outdoor qualifications since then. His extensive experience working as secondary school teacher also built up his leadership skills and gave him time to plan his next trip to the Alps! Current qualifications: Summer Mountain Leader, Rock Climbing Instructor, Level 1 Canoe/Kayak Coach, White Water Rescue, BSA Level 1 Surf Coach. Our expeditions and activities take people into challenging environments from complex underground caving systems across the UK to remote and high altitude mountain passes in the Himalaya. The nature of our business relies on us having robust safety management procedures. To operate at the highest level of competency and to comply with British Standard BS8848 and AALA regulations, our Technical Advisors review our operating procedures and oversee our staff training. Continue reading about our Technical Advisors, who they are and why we chose them. Steve holds the highest Mountain Guiding qualification worldwide, the IFMGA/UIAGM Mountain Guide Carnet, and also the Mountaineering Instructor’s Certificate (MIC), which is the highest British qualification. Steve is the Chairman of the UIAA’s international Training Panel and Technical Officer for Mountain Training UK, which is the governing body for mountain leadership in the UK. He has also authored the official handbook for the Mountain Leader qualification. 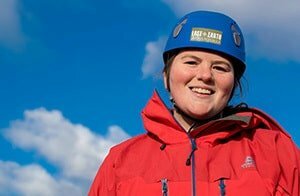 Straight out of University and keen to chase a career in her passion for adventure travel, Emily is our newest recruit at Lost Earth Adventures. Her degree in French and Italian has taken her on numerous linguistic adventures across the globe, from teaching in Milan to scouring the west coast of France for the best waves (yes, apparently this is a job!) to spending time working in India at a surf and yoga retreat. Her fondness for long distance travel however has no bearing on her lifelong attachment to Yorkshire and the English countryside. Emily caught the adventure bug from a young age and is always on the lookout for a challenge, be it on wheels, boards, mud, snow or water. 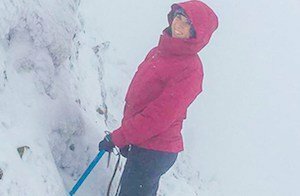 Whether she’s racing her border collie up the fells, zooming down the hill on a pair of skis or searching for some saltwater adrenaline, Emily is always bursting with an infectious energy for anything outdoors. She’s hoping in the next few years to work towards getting her Mountain Leader Award and buy a van to turn her adventures into multi-day trips. You may meet Chris anywhere! Either swimming up gorges in the Peak District or on the side of the mountains in the Himalaya. A professional guide and one of the best in the industry, well liked by all our clients and a hugely talented outdoors professional. 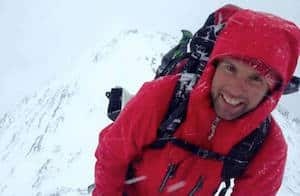 He is an active member of the Edale Mountain Rescue team and has climbed or instructed on more or less every continent the world has to offer! 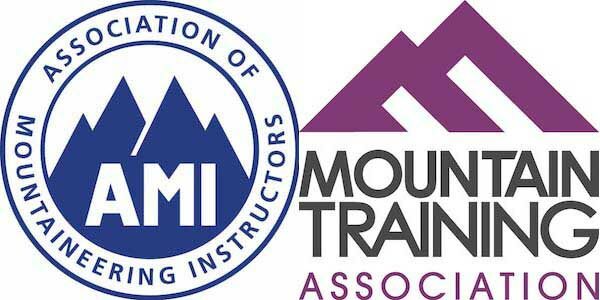 Qualifications – International Mountain Leader, Summer & Winter Mountain Leader, Rock Climbing Instructor & MIA (trained). Mountain rescuer and swiftwater rescue trainer. Favourite Lost Earth Adventures area – Peak District for its brilliant rock climbing, mountain walks and the Fairbrook gorge. Favourite on the hill snack – If I am feeling healthy a muesli bar, but when I am shivering and soaked, a Yorkie bar wins every time. Favourite piece of outdoor kit – Patagonia beanie. It’s been all over the world with me. What makes your ultimate day in the outdoors in three words – Fun, People, Mountains. Wild camp or posh hotel – Depends on the weather, where and who with. Adventure hero – Jamie Andrew. Mountaineer and quadruple amputee. “The greatest limitations are the ones we impose on ourselves”. Nick guides for us in Nepal. Always smiling (in the most demanding of places) he is a group favourite. Leadership skills second to none, enthusiasm second to none, entertainment second to none. With Nick’s mountain sense and experience we know that every trip he leads will be a belter. Qualifications – Mountaineering Instructor, Winter Mountain Leader, International Mountain Leader, Kayak Coach, Advanced Medicine from Wilderness Medical Training. Also a trainee Level 2 British Cycling Mountain Bike leader. 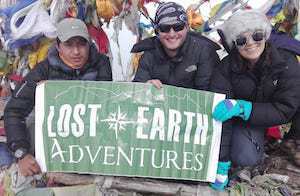 Favourite Lost Earth Adventures tour and why – Nepal Extreme as it offers a little bit of everything with an added dose of adrenaline and all served in beautiful locations. Next big challenge – Scotland is full of them and not very far away- A traverse of the Cullin ridge followed by a climb up the Cioch nose on Sron Na Ciche where the famous battle scene in highlander was filmed. This would have to be the day after the 16hr crossing of the ridge! Favourite on the hill snack – Welsh cakes of course topped with loads of butter. Favourite piece of outdoor kit – Sunglasses – I don’t get to wear them much but love those days when I do. What makes your ultimate day in the outdoors in three words? – Sun, sweat maybe some snow but certainly no sand! Last book you read – The voyages of the Beagle as I am shortly going to see marine iguanas on Galapagos! Favourite adventure film – Definitely Kilian Jornet: The Summits of my Life, The most inspirational film of a super talented climber/mountaineer filmed in Chamonix and one of the first films to utilize drone footage to amazing results. I watched the first screening in Chamonix presented by Kilian. Qualifications – International Mountain Leader, Summer Mountain Leader, Winter Mountain Leader (trained), SPA, UKCC L2 Paddlesport with 3 star in Canoeing and inland kayaking. Wild camp or posh hotel – Definitely wild camp as it is more peacefull and simple. Adventure hero – Ishani Sawant as she worked really hard to become a professional mountaineer in India, which I find really inspiring. KP is one of our local guides in Nepal and is originally from the Gorkha region. 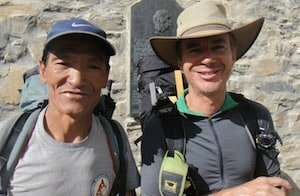 He has been leading treks in the Nepalese Himalaya since 1995 and has extensive experience in the Langtang Valley, Everest, Annapurna, and Mustang regions. His unrivalled passion and enthusiasm for his country is infectious! KP prides himself on his attention-to-detail and constantly sets out to exceed our expectations. He is an excellent addition to the Lost Earth Adventures team. KP is a fully qualified, Government of Nepal registered Trekking Guide. Bhairas was born in the shadow of Mt. Everest, deep in the Solu Khumbu region, a three day’s walk from the nearest road! Having grown up in such a harsh Himalayan environment has led him to have an incredible and acute mountain sense. He is most at home and confident along the trails and peaks of the Himalaya! 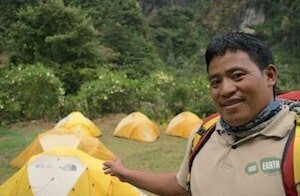 Bhairas is a fully qualified, Government of Nepal registered Trekking Guide and is one of the friendliest people we know. He is somebody who always puts the well being of others before himself and is an asset to our team! For Dipak, being a trekking guide is more of a lifestyle than a job. 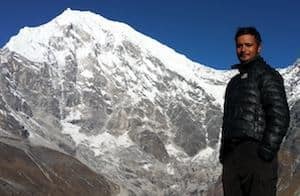 Born in the mountainous Manaslu region, he feels a special connection with the beauty of the Manaslu peak, and has been impressing our trekkers since 2012 with his unerring enthusiasm. He loves guiding trekkers through the lesser-visited Langtang Valley and sharing his knowledge about the rich cultural tapestry of Buddhist and Hindu culture that makes up the area. 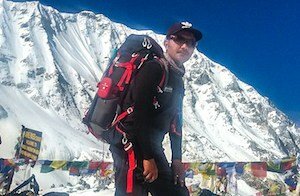 Ram was born in the heart of the Everest Region, making him a superb guide for all treks in this area. His love of the natural environment is infectious! His knowledge of the local flora and fauna makes him an absolutely fantastic guide on any Lost Earth Adventure. 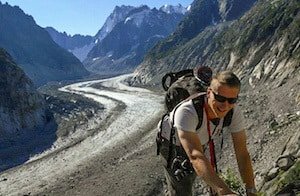 His personal favourite is the Everest Base Camp trek, and, since 2014, he has shown his continuous enthusiasm for improving his skills as a guide whilst working for Lost Earth Adventures. Growing up in the shadows of Manaslu, the world’s eighth highest peak, Rajan has always loved adventure! For him, the highlight of his job is being able to share the experience of amazement at Nepal’s beautiful mountains with his guests. Gokyo Lakes is one of his all-time favourite places; the calm glacial fed lakes against the backdrop of iconic Himalayan peaks will never cease to leave him awe-struck. A keen photographer, he has been capturing the highlights for our intrepid trekkers since 2016. Phurba’s thirst for exploring new places and cultures is what motivated him to become a trekking guide. He loves travelling around Nepal, learning the nuances of the local people’s lifestyle and has been sharing this knowledge with Lost Earth Adventures’ trekkers since 2016. He has exceptional knowledge of the flora and fauna of Nepal, which makes him not only an excellent guide, but also a fantastic companion. 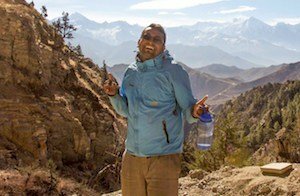 The best part of being a trekking guide for Rajendra is meeting people from all around the world and being able to share knowledge and experiences with his clients over a plate of dhal baat, his preferred meal of rice and lentils. Working all over Nepal means he never gets bored, and on each trek he tries to discover something new about the landscape and the local cultures. 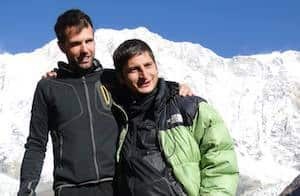 For him, treks in the Annapurna, Everest and Manaslu regions have the best scenery in the world, and he has been sharing this with Lost Earth Adventures’ clients since 2013. 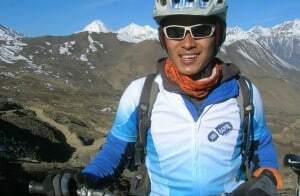 Tenzing is one of our Nepali mountain bike guides and a firm client favourite! His passion and enthusiasm for riding the trails in his Himalayan backyard is infectious and it’s impossible not to ride with a permanent smile on your face when you’re in his company. Tenzing has vast knowledge of bike mechanics, trailside maintenance and of the best trails on offer in the Annapurna’s. Tenzing is an absolute wizard on his bike and recently spent the summer in Switzerland with the Red Bull Riding Team. Manish started kayaking from a young age and rose to become Nepali Junior White Water Champion. He has competed at the World Canoe Championships in Japan and has worked as a professional river guide on all the major rivers in Nepal. This has led Manish to kayak with paddling legends from all over the world. His enthusiasm is obvious as soon as you hit the water; he is always smiling and providing heaps of entertainment along with his expert advice. He has even helped with logistics for a National Geographic documentary as they hunted for the Yeti. 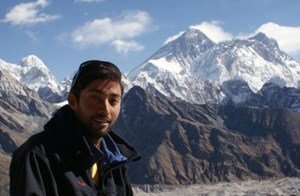 Unsurprisingly, given his wealth of experience, Manish has been certified as an International River Guide and is a qualified White Water Rescue Technician. 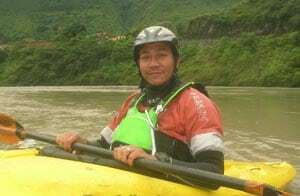 Manish is a hugely likeable guy and with his calm demeanour, great English skills and precise easy to understand instruction he is an obvious choice to lead our river trips in Nepal. At Lost Earth Adventures we pride ourselves on having highly skilled, experienced and qualified guides on all our treks and we are continually investing in training programmes to boost their professional and personal development. 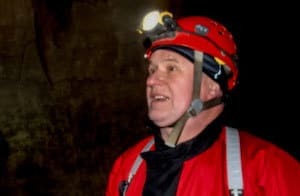 When it comes to canyoning and gorge walking, there are few people in the UK with more experience than Mike. He has been leading every type of group all over the country for 20 years; whether it is a school or cadet group down a local gorge or a military group challenging themselves at a canyon, Mike has led them all. Moreover, he has achieved the qualifications to demonstrate that experience. He leads our staff training when it comes to canyoning and is a firm favourite with all the clients he leads. Current Qualifications: – UKCG Canyon Guide, Level 2 Kayak Coach, Level 2 Cave Leader, Rescue3 White Water Rescue, UKCG Swiftwater Canyon Rescue, Mountain Leader, Rock Climbing Instructor. Will is an all around outdoorsman, passionate to the core about what he does and the ultimate lover of adventure. 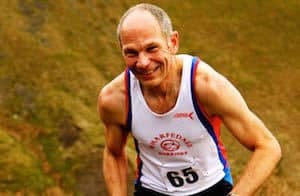 You can find him at his local crag, maneuvering up gritstone rocks, mountain biking along the North York Moors, winter climbing in Scotland, or scrambling through gorges 7 days a week. One of his greatest strengths is providing our clients with a positive, fun and attentive experience. No matter the experience, you’re in good hands. Will holds his Mountain Leader Award and the Mountaineering Instructor Award (the highest rock climbing award in the UK). 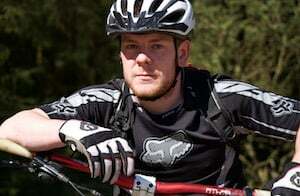 James heads up our UK mountain biking department and is no stranger to the saddle. In his spare time he can be found competing in ’round the clock endurance challenges and races or exploring new trails all over the UK. James has always liked being on 2 wheels but seriously took up mountain biking 10 years ago. 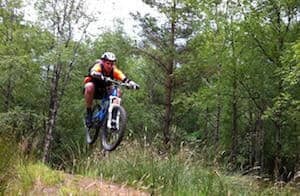 He is passionate about sharing his enthusiasm and knowledge with others and holds his MIAS Level 2 Mountain Biking Qualification. 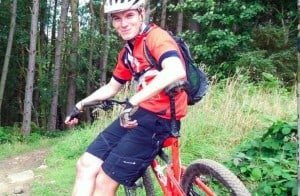 Some of James’ recent achievements are finishing 3rd overall in the 24hr Mountain Mayhem Bike Race and raising funds for charity by cycling over 130 miles from Morecombe to Scarborough in 7.5 hours! Yes, you read that right! Ruth is a stunt woman and you may have seen her in films such as Batman and Harry Potter and TV shows such as Casualty and Coronation Street. 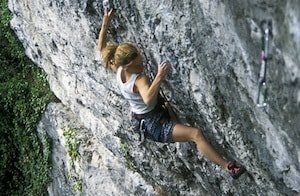 Not only that, when she’s not duelling with witches and wizards or jumping out of burning buildings, she’s also climbing nails hard rock routes, at one time she was the hardest female climber in Britain. You too can climb as hard as Ruth if you read her blog. Favourite Lost Earth Adventures activity and why – Climbing. Always a good day out in an amazing place. Dream adventure – Visit the pencil museum in Keswick. Most memorable day in the outdoors – Paddling the River Dranse in the Alps. Crazy river! Favourite piece of outdoor kit – My wooden otter tail paddle. Your next big challenge – Coast to coast open boat trip in Scotland. Favourite Lost Earth Adventures activity – Yorkshire gorge walk, great fun and wet. Favourite Lost Earth Adventures activity – Climbing, because it’s there. Dream adventure – Months travelling through the Himalaya. Adventure hero – Boardman and Tasker, closely followed by my kids. 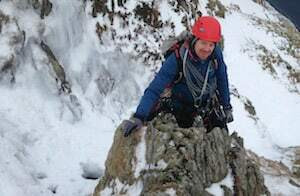 Most memorable day in the outdoors – East Gully, winter, Cadair Idris – Feb 2004, to name but one. Wild camp or posh hotel – Depends with whom or where, but these days a nice hotel. Qualifications – Mountain Leader, Single Pitch Award, Gold Duke of Edinburgh Award Assessor. 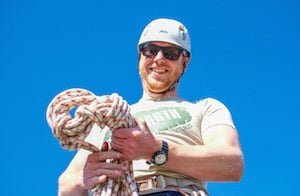 Favourite Lost Earth Adventures activity – My favourite Lost Earth Adventures activity is climbing because I can show clients a side to the outdoors that is not explored by foot. Dream adventure – I think my dream adventure would be to go and climb the Old Man of Hoy, a spectacular sea stack in the far north of Scotland. Chris Bonington first pioneered this route back in the 1960’s and inspired me to go and accomplish it. 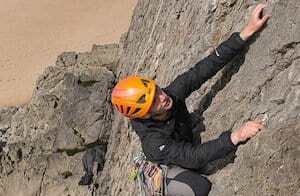 Most memorable day in the outdoors – My most memorable day was on one of the Peak District’s most fantastic crags called Froggat Edge and climbing my First HVS called Tody’s Wall, first ascended by Joe Brown. Last book you read – The Villain, Don Whillans. Probably the only book I’ve ever actually finished! Your next big challenge – My next big challenge is to go back to Rjukan, Norway and climb an ice fall called Ranabergfossen as there is some unfinished business! Favourite Lost Earth Adventures activity – Hillwalking. More freedom in terms of route choice and more opportunity to get to know your clients. Dream adventure – Kayaking in and climbing some of the classic Scottish sea stacks. Favourite on the hill snack – Flapjack! Most memorable day in the outdoors – Doing the Bob Graham Round (an epic mountain challenge, summiting 42 Lakeland fells in under 24 hours)! Stuart Moore is a skilled outdoorsman, talented in many disciplines of mountain sports. When he’s not working for us he’s training or competing with the GB Snowboard Squad. Wild camp or posh hotel – You can’t beat a posh hotel as long as someone else is paying! At Lost Earth Adventures we take safety very seriously. We have full public and product liability insurance, write risk assessments for every activity we offer and use highly experienced and qualified instructors with a good client to staff ratio.  Lost Earth Adventures also holds an AALA license. This is the highest accreditation that is available from the British Government and means that we meet the high standards set for providing adventurous activities. Read more about our safety policy. Find out more about our guides and what they get up to at work, home and play on our Facebook Page!